What is Corten steel (COR-TEN)? 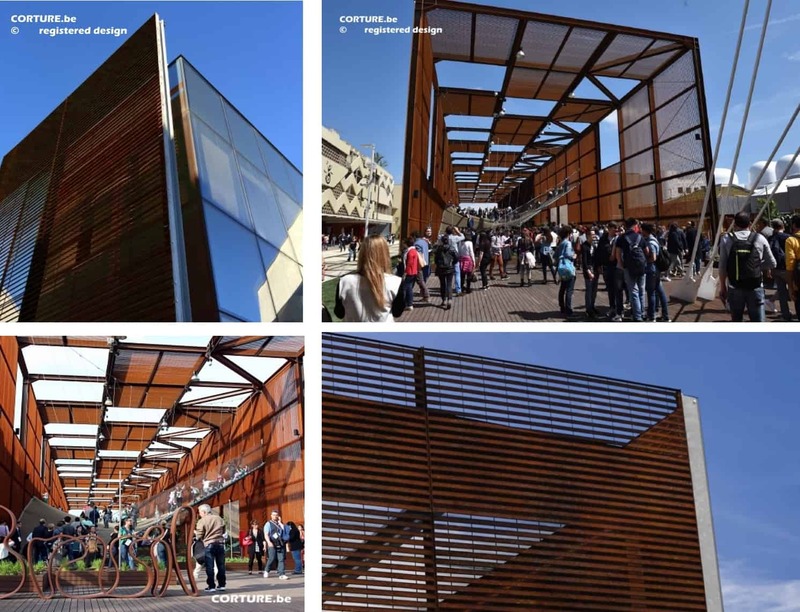 Thanks to the ageing and oxidizing processes, Corten steel is a “live” material. The colour nuances may change over time, thereby enhancing the architectural design with a play of light and shadow. Modern and traditional at the same time. COR-TEN steel has become increasingly popular in modern architecture, that favors not only beautiful but also maintenance-free and long-life products. The corrosion resistance is five to eight times higher than normal carbon steel. We are proud to present our fencing system , made out of corten steel. The simple but elegant design, integrates naturally into every landscape. The corten steel weathers naturally. Why install a wooden fence, when you can install our corten steel Bouveloo Corture – fence? With Bouveloo Corture, no problem! Wooden fences do rot, do break, …they don’t last eternally. Our corten steel fences are made to last. Do you want your Bouveloo corten fence to be installed by a professional? Our licensed installers are the guarantee for your perfect fence. Do you want to install your Bouveloo corten fence yourselves? Contact us for a distributor in our region. Are you a fencing erector, who wants to provide elegant & innovative solutions to your customers? We can supply you our fences with installation advice. Contact us to become a licensed installer. Are you a landscaping professional or architect? You want to provide your customers trendy solutions. Contact us for our inspiration booklet. 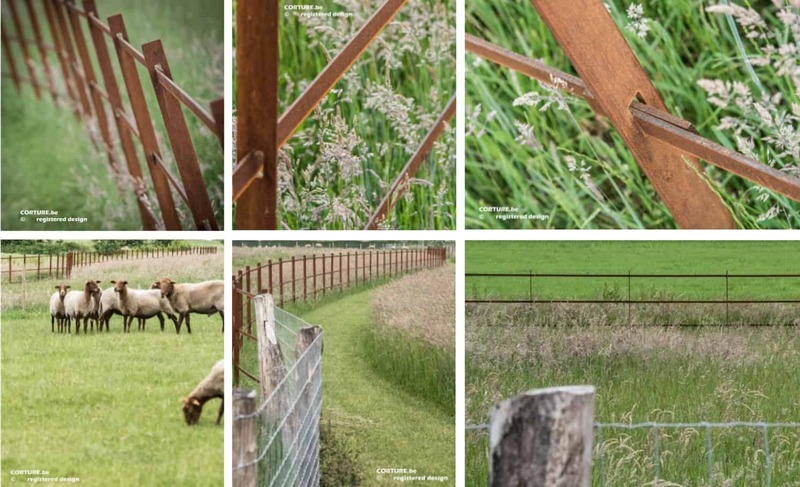 which gives our fences a special look-and-feel. 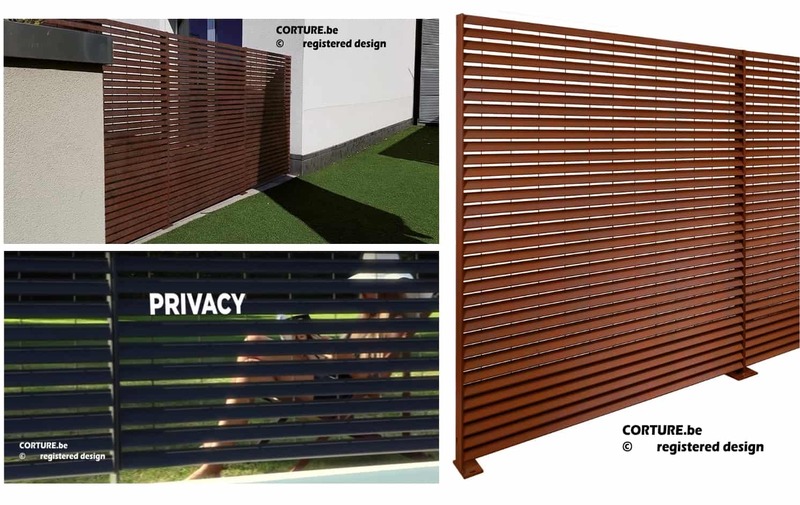 The privacy screens come in 3 versions, with different levels of privacy. Available in different widths and heights – for mounting in concrete or with a baseplate attached. – corten steel welded tubes. Elegant and sturdy design, which is ideally fit for contemporary designs or construction purposes.